Track arms, strut arms, and radius arms are critical links between the axles and the rest of your vehicle. 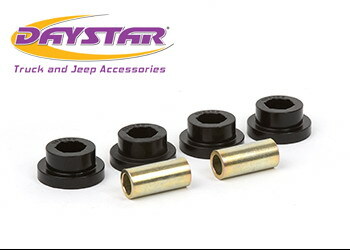 Daystar takes special note of all the bushings used in these applications to build bushings that will last in these demanding environments. In the case of solid-axle radius arm applications, a variety of different bushings are available to restore caster lost during a suspension lift.